This is my bench top chaos. It's where my metal smithing takes place. It's actually where most of my work happens. As crazy as it looks, I know where everything is. I call it "creative chaos". So, what do you think, does anything get done with a clean desk? 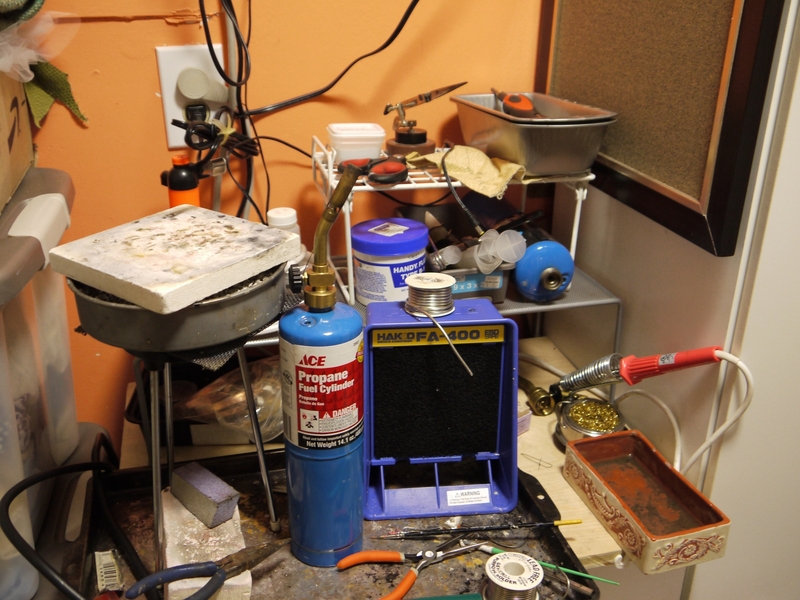 Soldering station where my hot joins happen. 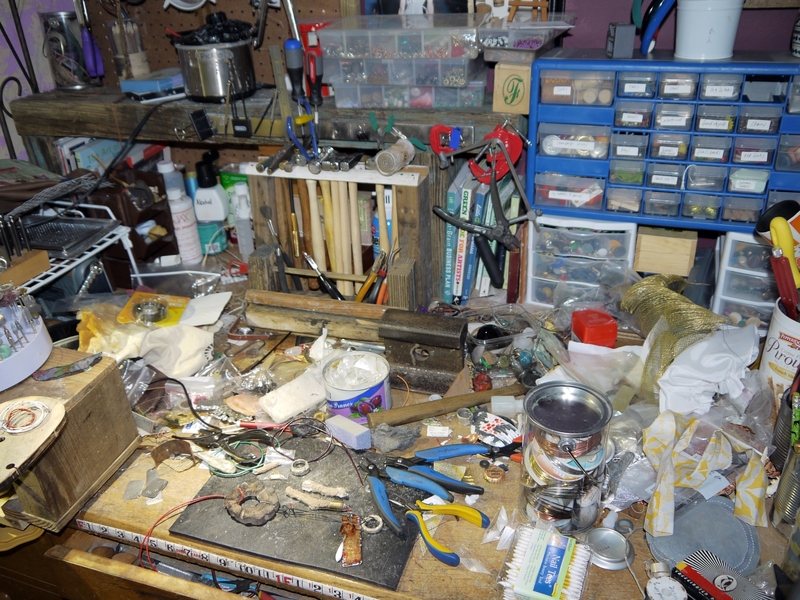 The bar top is where I lay it ALL out, rearrange it, move it again, and of coarse where I pour my ICE Resin®. This is second most used space. Do you see the hand screaming for help? 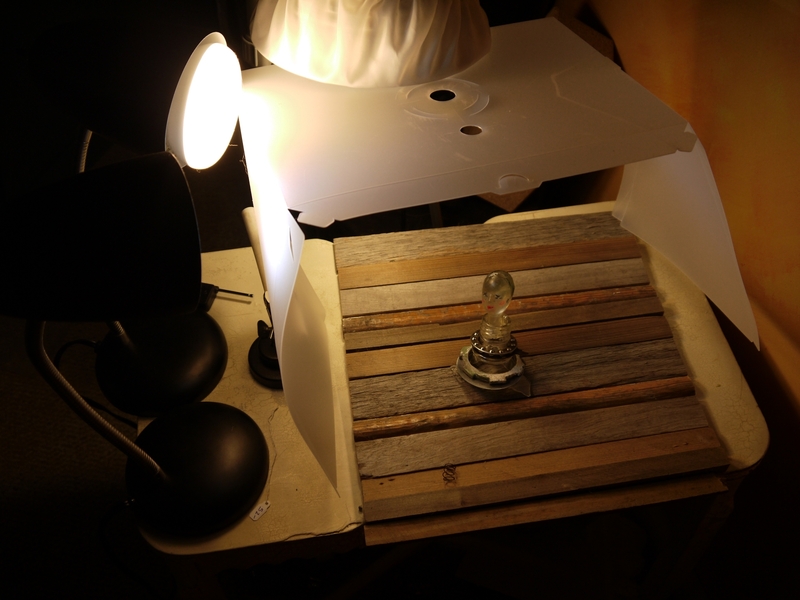 This is the lightbox station where my photos are taken. Some good, some bad. Thanks so much Tracey, glad you can relate! SO great to see the inner workings of the great Jomama. Your work space looks fabulous - well established, organized, and in use! Definitely in use! That's a good thing, right? One purpose this got here to be was because people enjoyed motocross, however was utterly unable to afford the tools for it, much less motocross bike itself. I love the pic with the hand coming out of it! If I had the space and the amount of flat space you have, I could work on more than one project at a time. I'm sure you're not the first artist to place a tape measure on your work bench, but you are the first I've ever seen. Clever idea. I do indeed live it Lynn. This is my bench top chaos. Ha ha.. I know how messy can a workplace be and when it comes to someplace where creativity has a major role, it can be real chaotic. Hope your mom never steps into this area. Else she is going to throw everything out. 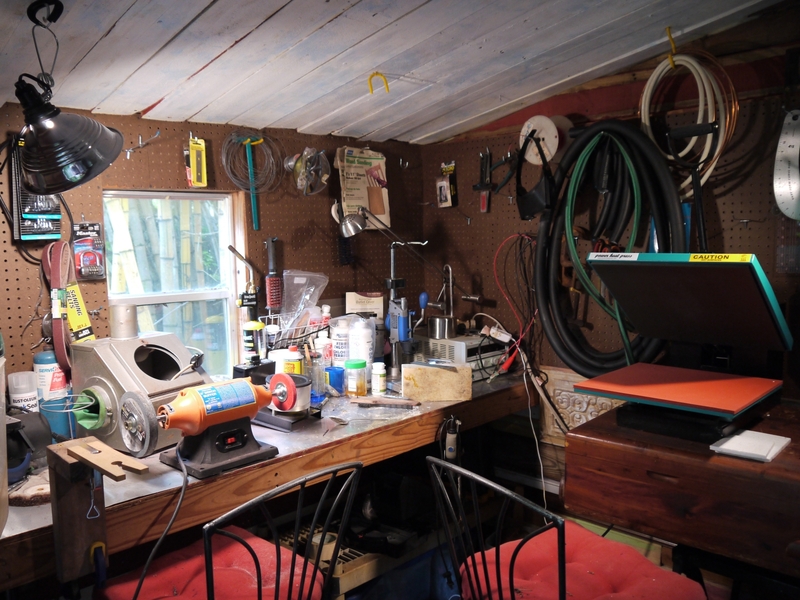 It is true that workspaces where there is a huge amount of creativity taking place always tend to be so messy. I wonder how you deal with your wife on this matter, as they tend to hate seeing places like this. 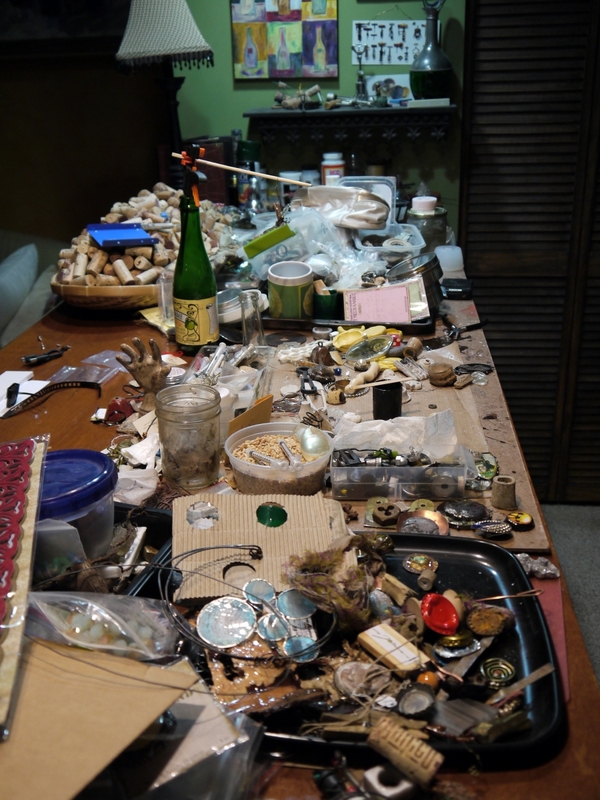 It seems that people have separate studio where they like to do their work. By the research of college papers writing service people have different purposes for their studios. 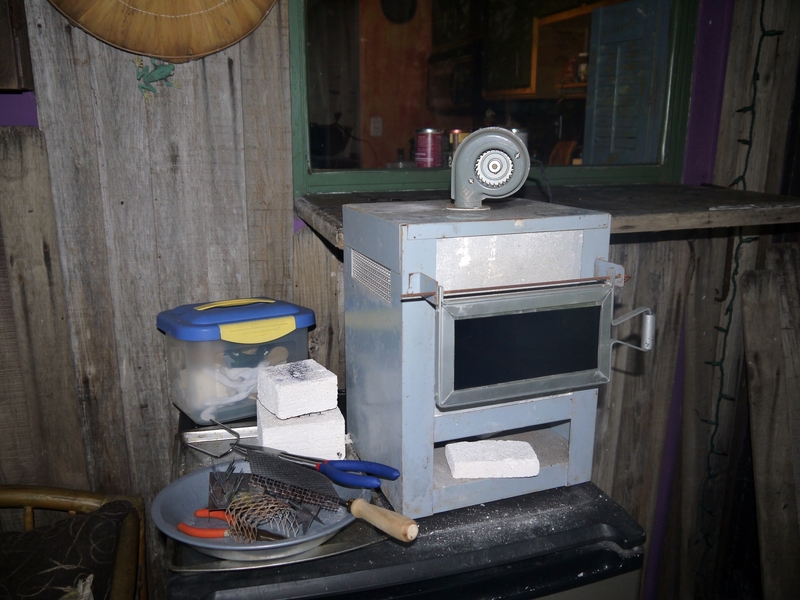 Some people have studios for art and some have studios for the manufacturing of different products for their business.